European football’s governing body has upheld the Football Association’s request to allow Wayne Rooney to be violent against players from host nation Ukraine by reducing his international suspension from three games to two, meaning he could return to international thuggery for the final group game in this summer's European Championships. Many football pundits had pressed for a reduction in the sentence meted out to Rooney following his violence against Miodrag Dzudovic from Montenegro citing his previous disciplinary record and precedents of previous UEFA rulings. The ruling has raised hopes of England progressing from the group stages but without Rooney for the first two games there are question marks over whether the rest of the team can deliver the performance needed. 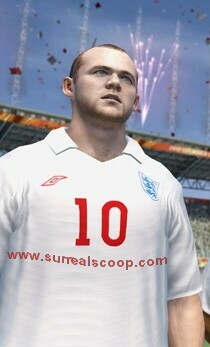 The possibility of Rooney playing in the final group game will not just be felt in the relentless pummelling of the self-esteem of those match officials who dare to give a free-kick against the brutish centre-forward but will have repercussions in the computer games industry.